Personal development and staff training is a big thing at Galakiwi. We’re always looking for options to improve the skill set of our team members. Recently, we brought most of our Galakiwi staff to Isabela Island. 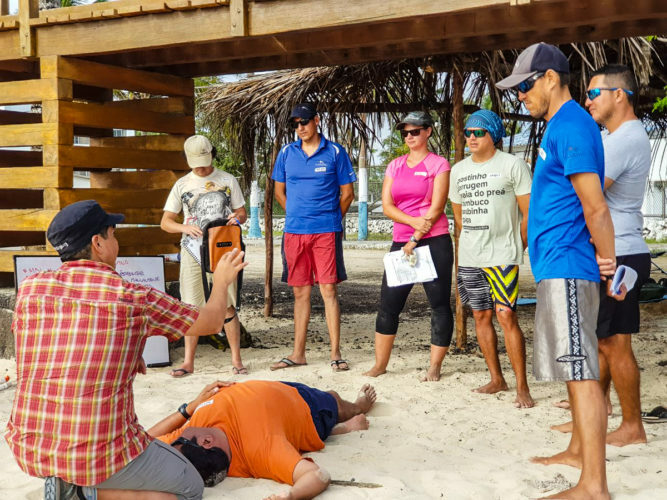 It was a great time to do some catching up as a group, but the main event was an intense Wilderness Advanced First Aid training course. 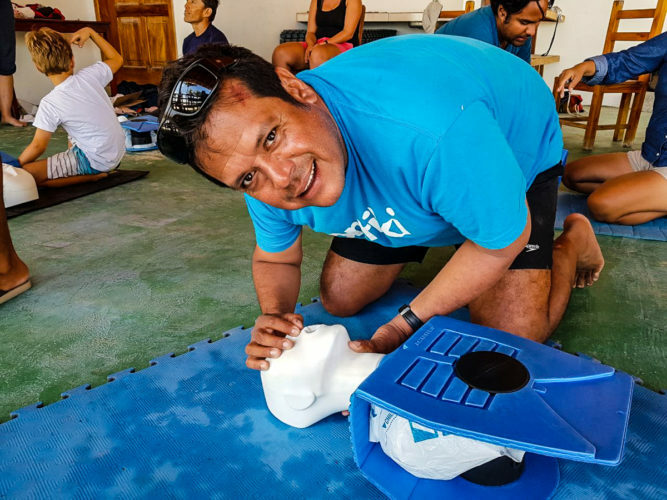 Our team from Quito, and guides and staff from Santa Cruz, San Cristobal and Isabela islands all got together to learn, or improve their first aid skills. 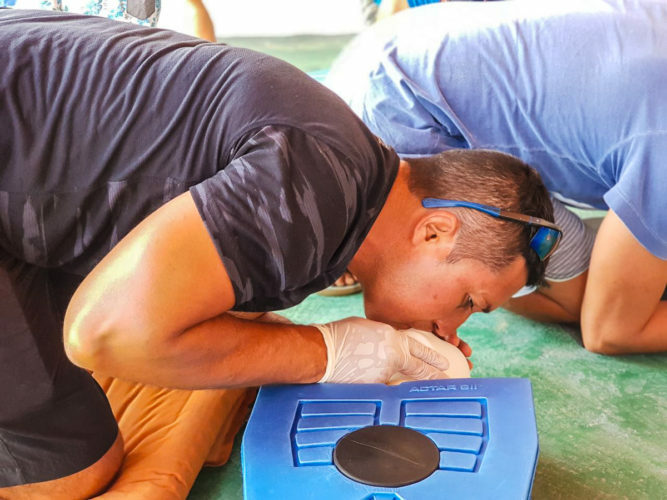 One thing that we’ve been surprised about in the Galapagos Islands is that when the Galapagos National Park does their guide courses, there is no required first aid component! Considering that the environment of the Galapagos can be quite rough, we felt this was a necessary skill to get our team trained up on. This wasn’t the first time we’ve endeavoured to make sure our team is up-to-speed on important safety training. 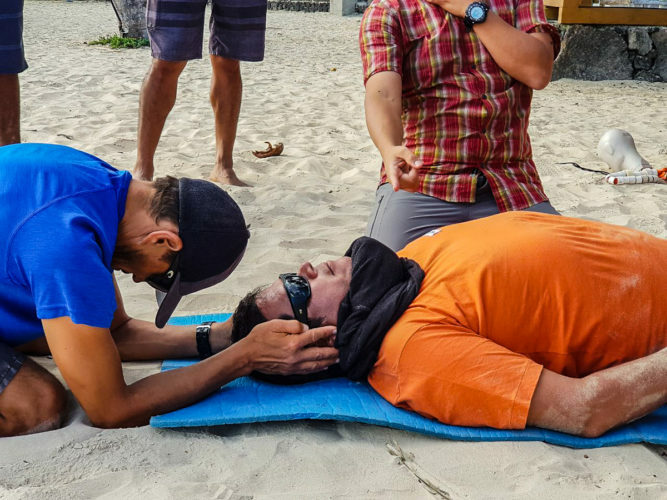 Many of our staff have done basic first aid courses on their own, some have taken NOLS Wilderness First Aid courses with us in the past and some have quite advanced knowledge in how to deal with medical emergencies. (Sina has worked as an operation room nurse in Switzerland!) This was, however, the first time we’ve brought such a large group together to learn together as a team. It was a fun, but serious hands-on training session for all of us. 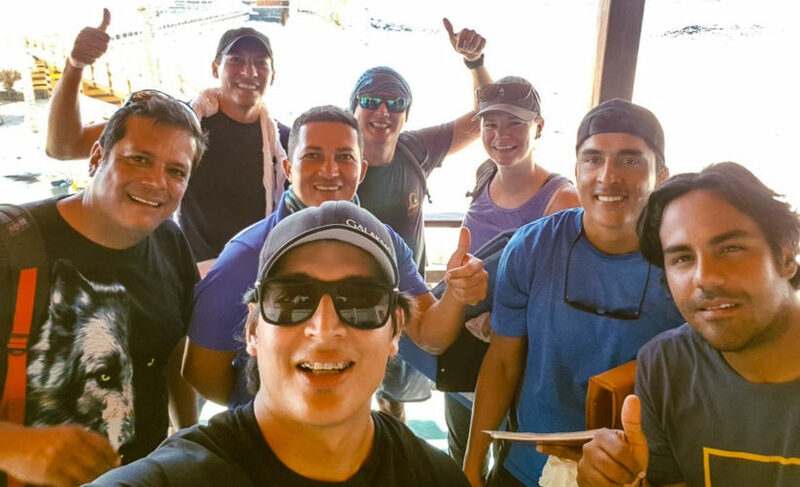 We learned how to deal with a multitude of potential issues that our friends, family, staff or travelers may encounter while in the Galapagos Islands and the rest of Ecuador. 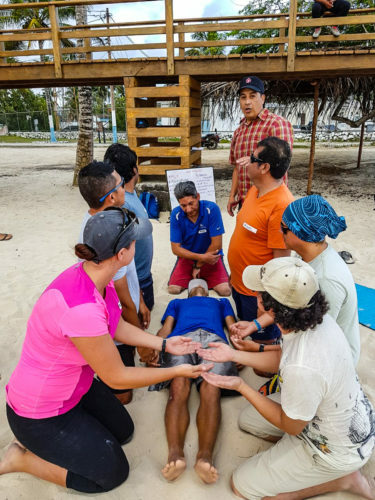 CPR essentials like mouth-to-mouth and chest compressions, immobilizing dislocated or broken bones and how to deal with chest, spinal cord or head injuries were just a few of the scenarios we ran through with our instructor. Risks related to operating tours where heat, altitude and water are potential dangers were also discussed. 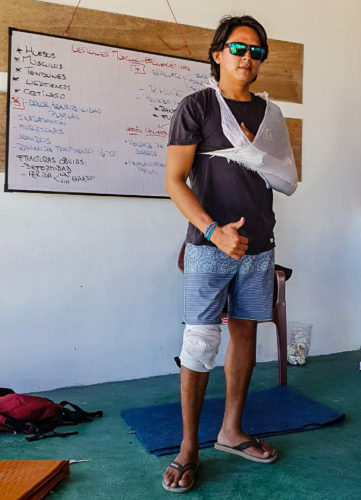 We reduce the risk on all our activities as much as possible on our tours, but you never know when someone may fall off a bicycle, swallow some water while snorkeling or feel ill while kayaking or hiking around the islands. Safety first has always been a big part of how Galakiwi operates our tours and this was just one more little step on our journey to always improve and evaluate how our tours are run, and how well-trained our staff are. 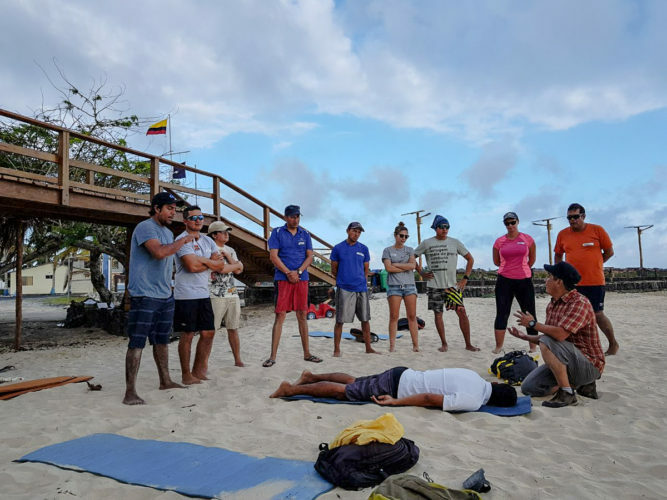 It may not be the first question you ask when you are booking a trip to the Galapagos Islands or Ecuador, but you should be aware of what type of emergency procedures and training your travel company has in place in case anything goes wrong! Thanks to Cristhian for taking some great photos of the training sessions. You’re in good hands with Galakiwi!